Dr. Manguikian earned both his Bachelor of Science and Doctor of Medicine degrees from the American University of Beirut in Lebanon. He continued his training with an internship and residency in Ophthalmology at the American University Hospital in Beirut, Lebanon. 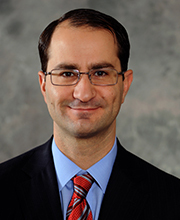 Dr. Manguikian then completed a fellowship in Glaucoma at University of Iowa in Iowa City, Iowa. He is a Board Certified Ophthalmologist and has achieved Life Status membership from the American Academy of Ophthalmology. Dr. Manguikian practices comprehensive ophthalmology and specializes in advanced cataract surgery, glaucoma surgery, and eyelid plastic surgery. 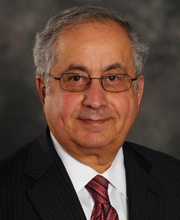 Throughout his medical training and career, Dr. Manguikian has been the recipient of numerous awards and accolades, including the prestigious John C. Forbes Award for Excellence in Biochemistry and the Sidney S. Negus Award for Excellence in Biochemistry, both from Virginia Commonwealth University. He has also served as a presenter at numerous scientific seminars and symposia around the country. Dr. Manguikian is a member of the American Academy of Ophthalmology and the American Society for Cataract and Refractive Surgery.